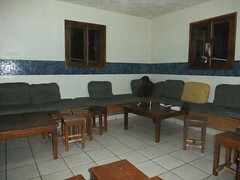 A question we commonly get asked is what the accommodation is like in the Atlas Mountains. 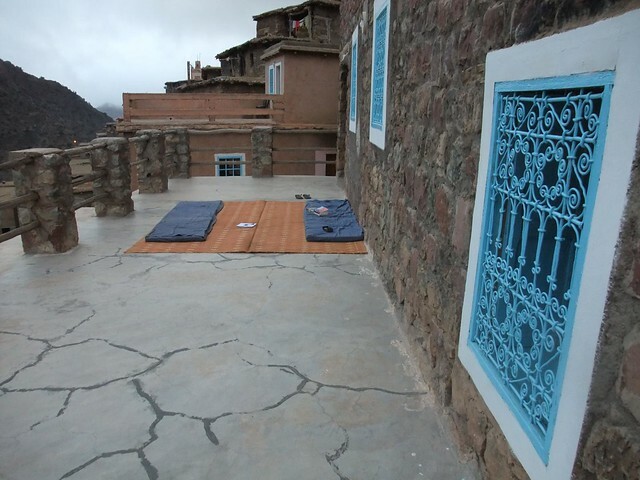 Leaving the glamour of the Kasbah Du Toubkal aside this article is devoted to the kind of places trekkers typically overnight in the Atlas Mountains. The mountain gites can be real gems, but they can also be rather basic. 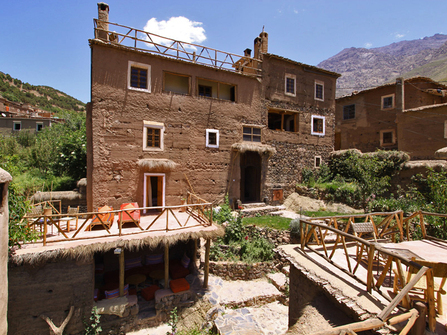 Each village in the Atlas Mountains has a gite. The gites are part government funded part locally owned guesthouses and are simple traditional buildings with a number of private rooms and shared facilities. 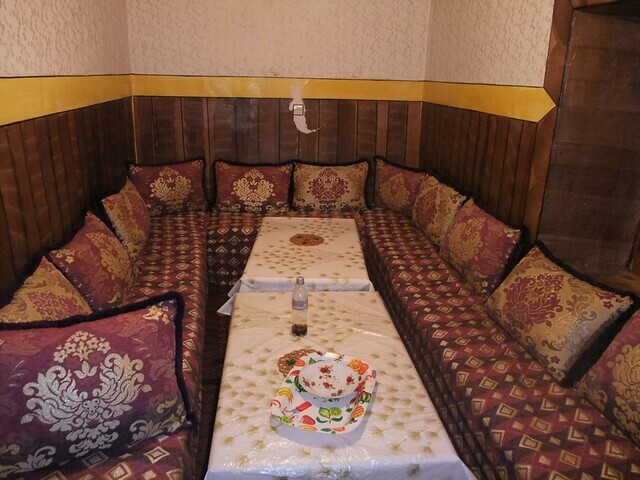 The rooms in some are little more than Berber salons - bare bones rooms with soft cushions placed around the room, which serve as a dining area for your group and sleeping area. You would typically expect a private room for your group (although in very busy periods, this may not always be the case). 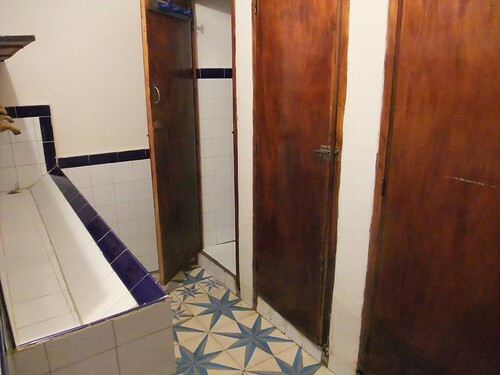 The bathroom facilities are usually bearable but not exactly welcoming. 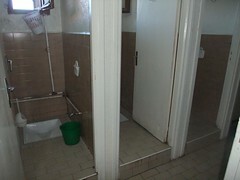 Hot showers are sometimes available, the gites do charge 1 or 2 Euros, but we do cover that cost (ask your guide). 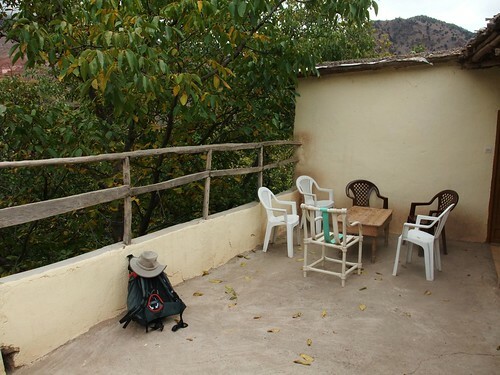 The best thing about the gites is that you can usually get a private room for your party (even if there are only two of you), they are situated right in the heart of traditional Berber villages and some have outdoor terraces with wonderful views. If you would rather stay in comfort we can offer a couple of alternatives. You could either base yourself in Imlil or Ouirgane and head out on day treks, or we sometimes do a nice traverse from Imlil via the Kasbah Du Toubkal trekking lodge and onto Dar Tassa in Ouirgane. Please get in touch to discuss these options. 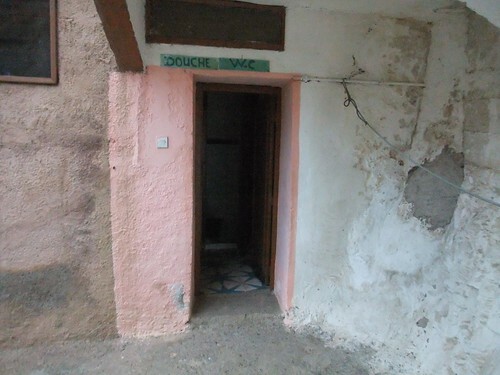 Anybody tackling Toubkal is going to have to deal with the mountain refuges. 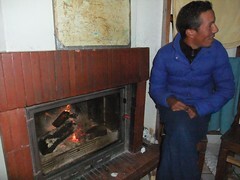 There are two refuges at 3207m that most trekkers stay at before tackling the peak early the next morning. There are also several refuges in the neighbouring Azzaden Valley. Whichever refuge you end up at, you can expect fairly crammed in dormitories, shared bathrooms and plenty of noisy trekkers spoiling your hard earned sleep. So no different really than mountain huts in the rest of the world. 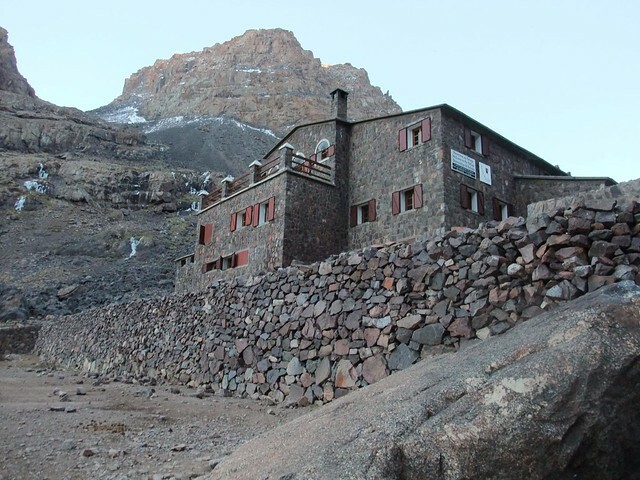 The original Refuge du Toubkal or Neltner Hut was built and run by Club Alpin Francais. Whilst it lacks some of the nicer touches of the alternative (see below), it is a warmer building (which means it is popular with the guides and muleteers) and provides kitchen facilities for food preperation. 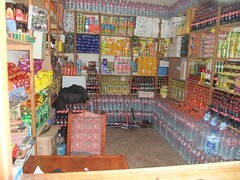 There is a dining room, a small shop selling snacks, soft drinks and mineral water, a sitting room with a fireplace and lots of large dorms. 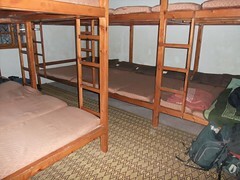 All dorms have bunk beds, with mattresses laid side by side with barely space to fit a book between. 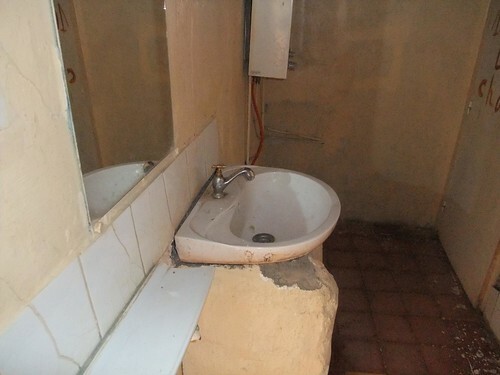 The mattresses are tired and the bathroom facilities over-used, but the management are making efforts to spruce up the place and it can be endured. 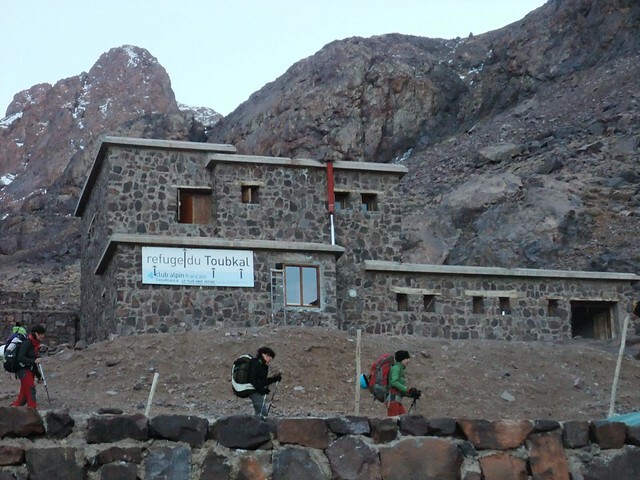 In winter and when it is cold, we use Neltner Hut for all our Toubkal treks, in summer we prefer to camp in the grounds of Neltner. That way we can avoid the dorms, but still make use of the bathrooms, dining rooms etc. The newer Les Mouflons do Toubkal benefits from its more recent construction and offers a degree of welcome ambience at first glance. However that large open plan space with tiered galleries above, whilst pleasing on the eye, does mean it can get rather cold at night. Given the only reason we would stay in a dorm is because it is too cold to camp, then we usually use Neltner. 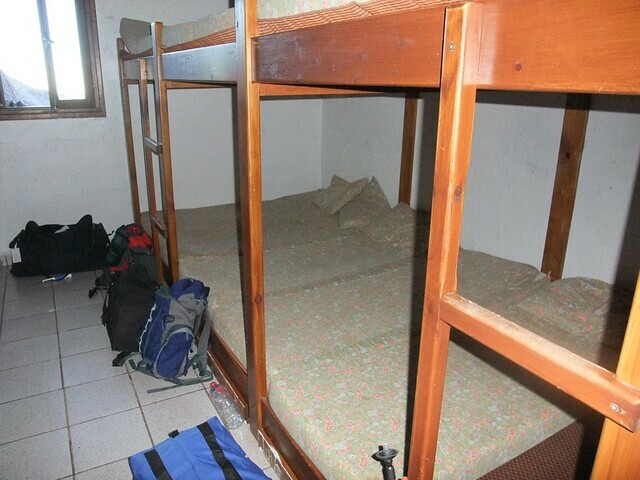 The dormitory bedrooms and shared bathrooms are of a similar level as those at the Neltner Hut (see above). The other advantage to using Neltner is they allow our cooks to prepare meals in the kitchens and serve them in the dining rooms.